The game would start with Conforto, who’s appearance has been long awaited would bloop a single over the Phillies second baseman’s head to pick up his third hit of the season. Velasquez would next strike out Cabrera on a well placed fastball on the outer half. Cespedes then would hit an RBI double to start his evening. The double would score Conforto as the ball hugged the out field wall, making it a little difficult for Kendrick to get the ball back into the cutoff man. During the next AB, Cespedes would take off early from second base, mistiming Velasquez’ delivery before he was able to get Bruce to ground into the shift for the third out of the inning. Cesar Hernandez would start the Phillies night off with a leadoff single off of Zack Wheeler. The Mets would luck out as Howie Kendrick would next ground into a 5-4-3 double play to give Wheeler two quick outs. Odubel Herrera next ran the count full as well as fouled off a several pitches but Wheeler was able to get Herrera to fly out to the center fielder, Conforto. Michael Conforto would extend the Mets lead to 2-0 over the Phillies with a well hit ball over the left center field wall. Conforto continues to make his case to be in the starting line up. After TdA was hit by a pitch on the left wrist, Velasquez then issued a walk to the Mets pitcher Zack Wheeler with no out. Conforto would take a walk of his own to load the bases for Asdrubal Cabrera. Cabrera then hit a single down the right field line which would score two runners & put the Mets up by four. Cespedes followed with a sacrifice fly to bring in his second RBI of the night & put the Mets up by five. After Wheeler gave up back to back base hits to Stassi & Hernandez, Dan Warthen made a visit to the mound to calm Wheeler down & hopefully get him through the next batter. Wheeler would then strike out the veteran Howie Kendrick for the first out of the inning. Unfortunately, Wheeler would load the bases by picking up his first walk of the evening on Odubel Herrera & that would be the end of his line as Terry Collins makes the trip to the mound to replace Wheeler with Hansel Robles. On the very first pitch by Robles, Mikail Franco would blast a grand slam over the left center field wall to cut the Mets lead to 5-4. Robles then walked the next batter, Michael Saunders. Robles was finally able to put the inning to a end when he got Daniel Nava to ground out to Lucas Duda as the Mets cling on to a one run lead. However, the drama would end there as Addison Reed came on in the bottom of the ninth to close the door on the Phillies for good. It would count as Reed’s third save of the season. Wheeler had a decent line before it was tarnished by the grand slam Robles gave up to Franco. 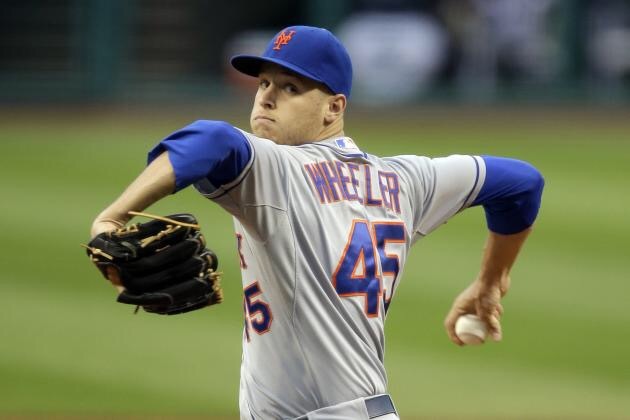 Wheeler went 5.2 innings giving up four hits, walking one, & striking out four as well as being responsible for three earned runs. I found Wheeler’s outing very promising. He was pitching effectively while being efficient & keeping his pitch count lower than his norm. 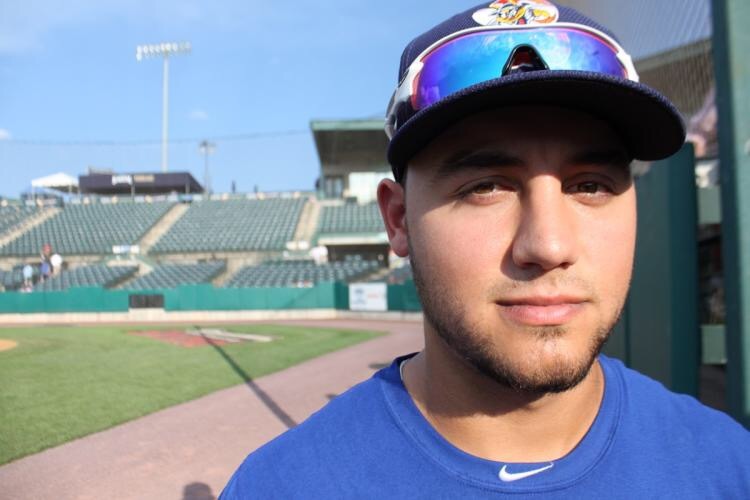 Next Should the Mets call upon their top prospects?